The following are items from the BA Code and Ordinances. 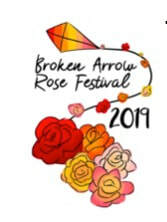 If you would like to have additional information, it is available on line at the Broken Arrow, OK City web site. Animal means any horse, mule, donkey, pony, cow, sheep, goat, hog, pig, dog, cat, rabbit, chicken, goose, duck, turkey, or other animal or fowl. At heel: Means within a radius of ten feet of the owner and obedient to the owner's commands. (1) Off the premises of its owner while not securely and physically restrained by means of a chain, harness, leash, rope or other device required to restrain such animal. (2) On the premises of the owner, but not confined or at heel. (4) Through the creation of offensive odor, lack of sanitation or the creation of excessive and repeated noise, becomes a significant disturbance to the peace and welfare of the inhabitants of the community. (2) Possessing no legal title, who keeps or harbors the animal for more than ten days. (2)Is disposed to attack persons or other animals it may meet. (3) Provided that the definition shall not include dogs owned by any unit of government, which are trained and used as a part of a law enforcement team, based on any conduct associated with their training, practice, or law enforcement activities. Sec. 5-9. - Permitting animals to run or be at large. (a) It shall be unlawful and a class C offense for any owner to fail to prevent any animal owned, harbored or kept by him from being at large within the city. (b) It shall be unlawful and a class C offense for any owner with an animal at heel to fail to prevent that animal from becoming at large. (c) It shall be unlawful and a class C offense for any person to abandon or desert any domestic animal or to permit any such animal to become a stray. (d) It shall be unlawful and a class C offense for any person to open any enclosure in which an animal is confined so as to turn such animal at large, or in any other manner to release such animal to roam at large. (3) Is a dangerous animal. Sec. 5-39. - Animal excrement. Any person having custody or control of any animal shall remove the animal's excrement, immediately upon its deposit, from any public or private place within the city, other than the property owned or occupied by the person owning or having control of the animal. This section shall not apply to utility or assistance animals or to animals used by police officers for law enforcement or tracking purposes. Violation of this section is unlawful and declared a class C offense.